Descriptions of toxins and pollutants. Overall, the TACHRA document provides a comprehensive and detailed framework for Oregon-based polluting industries to perform a series of tasks that will allow them to continue to pollute and endanger local residents and fauna, and poison flora, waterways, and land. 1: Allowing industries to self-assess with little or no oversight from DEQ, or any other State Agencies, is an open invitation for fraud, and for unscrupulous companies to provide skewed data. 2: Public involvement in both this process and the process of determining RAL’s and Adjusted RAL’s is virtually non-existent (post-SB 1541), and so removes the affected population from joining the debate to protect their own health, lands, and air. 3: Many determinative effects and resultative actions remain undefined or unclear, including what, if any, penalties exist for providing false data, for operating illegal un-permitted sites, and for polluters who repeatedly break the law and violate health standards. 4: Are any businesses or industries or other entities that release dangerous pollutants into the air exempt from RAL’s? 5: Why are so few actions and solutions being implemented to actually reduce health risks to the public? If self-assessment by polluters remains the only reporting mechanism, Level Three and Four Risk Assessments should be required when community complaints reach a threshold of consistency over time and scope. For example, if DEQ or other State Agencies receive a set number of complaints over a six-month time period for a particular and unique nuisance, the local polluter must do a verifiable Level There or Level Four Risk Assessment within a reasonable period of time. Verification can be conducted by the State or an independent and reputable third-party. Because of the immediacy of complaints from the public, a venue for public input needs to be implemented so both the State and the polluter hear from the community on the effects of the pollution. The resolution of pollution problems must rely on public participation as much as, if not more than, industry self-assessment since the likelihood of under-reporting of toxin release by polluters is well established, historically and locally. In the case of invisible or unnoticeable toxins, local health effects should also be considered as a determinate factor in assessment using local epidemiological reporting by clinics, schools, and others. Again, the result of self-assessment leaves the pollution, and resultant health burden, on the public and is not a verifiable quantification of pollutant releases. To be equitable, the public must be made aware of, and be included in the process of determining, the dangers of living and raising children near polluting industries and businesses. In section 2.1, page three, paragraph five, regarding the final sentence: Are cancer burdens assumed, or are they statistical from OHA and other Agencies data, or other sources? 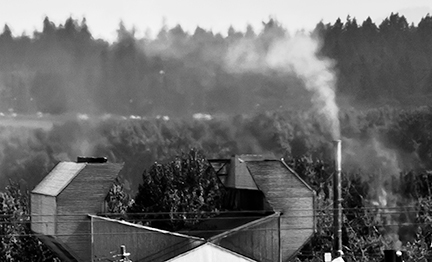 If polluters are clustered together, as they are in the Cully neighborhood in Portland, statistical data from OHA, health providers, and schools would be more relevant than assumed cancer rates. In Section 2.2.1, page five: For polluters within 2 km of a school, Level 3 or Level 4 Screening Risk Assessments should be mandated given the susceptibility of young people to pollution related chronic and other illnesses. In general, ELAF should be prioritized. In Section 2.2.2, and in general: While Mutlipathway Factors already include agricultural land and bodies of water where fishing takes place, wetlands need to also be considered as they are incubator zones for many species, including endangered species. Given methane outgassing from wetlands, another method should be established for monitoring wetlands habitats, perhaps tissue sampling of indicator species. Section 2.3: The Risk Assessment Process needs to be more community inclusive with the public more engaged. Perhaps a community complaint designation for the polluter of ‘high complaint level’ (many complaints) or ‘low complaint level’ (few or no complaints) for areas zoned for residential use in the vicinity of the polluter needs to be designed. The public should be informed of this ‘complaint level’ during the Risk Assessment Process. Section 3.1.1: Polluters estimating pollutant emission rates compounds the main problem with the Draft TACHRA regarding the dangers of industry self-assessment, as stated previously. Polluters have made a mockery of self-assessment and fostered corrupt practices at the State level, and this has all been well documented by media outlets, independent scholars, and environmental activists over decades of research and investigation. Allowing polluters to “assess toxic air contamination emission at the capacity to emit” (3.1.1, bullet point 2) just provides one more level of distortion for unscrupulous operators. A better way may exist in examining chemical intake manifests and determining where toxic compounds, and elements, go after being processed by the industry. For example, if a company is receiving 1000 .lbs of methyl chloride a mechanism should be created to account for the use, synthesis, and release of the dangerous chemical emissions or byproducts into the local environment. Needless to say, any hazardous residues must be disposed of properly. This is a more responsive methodology to local health concerns and contamination than relying on the ‘capacity to emit’ method. In terms of Adjusted Hazard Index RAL’s (page 14), public participation and community inclusion with EQC Advisory is crucial. Developmental effects from pollutants are recognized in the Draft TACRA but need to be prioritized, especially for mutagenic contaminants [e.g Cr(VI)]. There is a critical need for verifiable assessment and containment of mutagenic pollutants. Marginalized and other frontline communities deserve special protection, outreach, and inclusion given neonatal care concerns (access, affordability, education, language, etc.) Any development of higher index numbers should necessitate more robust pollution containment procedures. Section 3.2, page 16, paragraph two: Why does ‘Fugitive Emissions at Stage One’ not include on-site truck transportation emissions and spillage? Section 3.3, page 17, paragraph three: Simple modeling for one hour extrapolated to a 24-hour emission footprint is an invitation to provide skewed data and perpetuate fraud. A more reasonable approach would include either Level 3/4 Screening Risk Assessment, or on-site 24-hour modeling for a multi-month long sampling period. Section 3.4, page 17, paragraph seven: The public needs to be informed of, and invited to, any and all meetings between DEQ and the polluter. Section 3.5: Title V facilities and industries that use or produce criteria pollutants, or highly toxic PBT’s, should be mandated to perform Level Four Screening Risk Assessments. PBT emitting, or production, facilities and industries should have mandated TBACT to eliminate or minimize toxin releases into the environment. Public notice and inclusion here are crucial. The State has spent considerable time and resources defining explicit Risk Action Levels. However, communities should not be forced to trade or relinquish their health safety, or the health safety of their animals, lands, agricultural products and consumable garden foods, or the health of local flora and fauna for any increased risk that comes from CAO Risk Action Level permitting. Unless enforcement of environmental quality regulations and clear consequences for pollution violations are codified within the TACHRA, including enforceable sanctions, mandatory retrofits and filtering using TBACT (e.g. thermal oxidizers, scrubbers, containment housing, and electrostatic filters), substantial monetary penalties, or shut-downs, then TACHRA will not be a sufficient protection for the people and environs of Oregon. As mentioned earlier, the States’ and Agencies reliance on unsubstantiated and unverifiable self-assessments from polluters may very well allow for a return to past practices where DEQ functioned more as a bystander, aware that something was going on with some toxic pollution release and contamination, but unable or unwilling to take any action, rather than a functioning regulatory agency charged with protecting the health of the people of Oregon, or the Oregon environment. The NW Metals catastrophic fire one year ago on March 12, 2018 caused physical and psychological harm, and property destruction, and led to a mandatory evacuation of residents in the Cully community. Hazardous wastes, from burning solid-waste stored haphazardly on-site, became airborne and settled over a wide area to the west of the facility, including public schools, community and individual local agricultural gardens, private yards, and public parks. Hazardous waste and fire extinguishing fluids from the site were not contained and most likely entered into the local watershed, already compromised by decades of under-regulated industrial contamination. 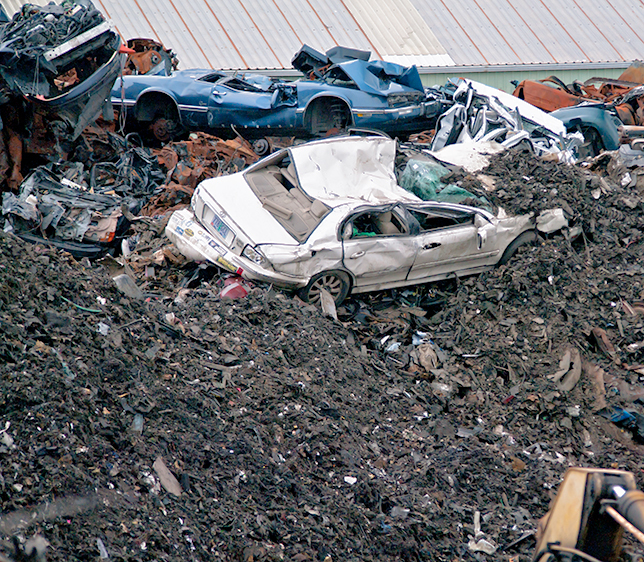 The Cully community and the outlying environs have a number of unregulated solid waste storage facilities and auto-dismantlers, also known as ‘chop shops’. No one is sure of the actual number since it seems many of these polluters are not regulated. These unregulated polluters continue to negatively affect the health of the community and diminish property values. These unregulated polluters are also negatively affecting the health of local wildlife populations and continue to complicate the clean-up of existing polluted waterways, including the Columbia Slough watershed, by improperly storing and containing solid wastes and hazardous wastes, spills, catastrophic releases, and illegal dumping. As the community suffered through the NW Metals catastrophic fire and airborne toxic event, we turned for relief to Oregon DEQ and to our Oregon state legislators. We have asked state Agencies to regulate these facilities and perform investigatory actions, levy fines, and aggressively pursue polluters and shut them down if they refuse to implement protective practices to stop public exposure to hazardous wastes. We have asked legislators to impose conditions on the permitting of polluters to provide a buffer zone between them and community households. As a frontline community with many low-income neighbors, families with children, elderly residents on fixed incomes, first-time homeowners, new immigrant/refugee families, and a vibrant new housing development economy, the community expressed frustration with the existing state apparatus for protecting our health and well-being and expressed an alacrity for implementation of changes that would allow existing laws and regulations to be acted upon. We are, a year plus later, still waiting for state relief from these known dangers, created by under-regulated and unregulated solid-waste storage companies, auto-dismantlers, and chop shops. The Amendments to SB 792 begin to address some of these concerns but not to address the existing problem. In other words, members of the community are well aware of the problems that exist and still await action from the State Agency’s to insure the health and well-being of local residents and the health of the local wildlife and ground water supplies. Furthermore, as environmental contamination and resultant health maladies become more evident, due to past regulatory and Agency failures, CAAT (Cully Air Action Telemetry) and CAN (Cully Association of Neighbors) encourage the state to revisit this piece of legislation and improve it to create an enforceable SB that serves the people and communities of Oregon, including protecting their health from existing and future toxic contamination, rather than create a ‘paper tiger’ that maintains the same levels of past inadequacy, or worse, that reflects the well-documented influence of industries financial contributions rather than the well-being of the people. …of Transportation, after public notice and consultation with community groups, tribal groups, and other affected parties. Public Notice will be financed in toto by company or individuals requesting site expansion. (d) Maintains a current bond that meets the requirements under ORS 822.120. Section 1 New Item. Insert after (d) Page 2, Line 15. (e) Maintain verifiable environmental liability insurance. (10) Earmark not less than 5% of company’s total gross receipts to an Orphan Sites Account (OSA) Contaminated Site cleanup fund. Please make these changes and alert CAAT, and the constituency that you have done so. 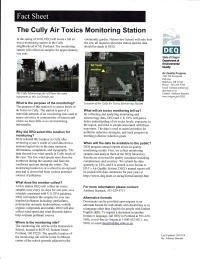 Here is the DEQ factsheet on the Air Monitor. It is worth looking over. Thanks to Oregon DEQ for listening to the community. DEQ has set up a full spectrum monitor between Thomas Cully Park and 205 freeway. This is good timing because Thomas Cully Park has it’s Grand Opening this Saturday, June 30th! The new park is a great accomplishment for the people of Cully who advocated for it for so long. We need to insure that the kids playing there, the families picnicking, the lovers strolling, and the flora and fauna have a healthy airshed to breathe in this new park. The air monitor will record VOCs, as well as lead and PM. Results should be available by the end of the year, if not sooner. 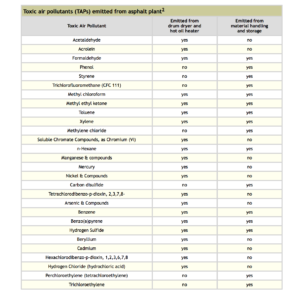 PSU has released their study of ambient (airborne) metal pollutants in the Cully neighborhood from testing done last summer. 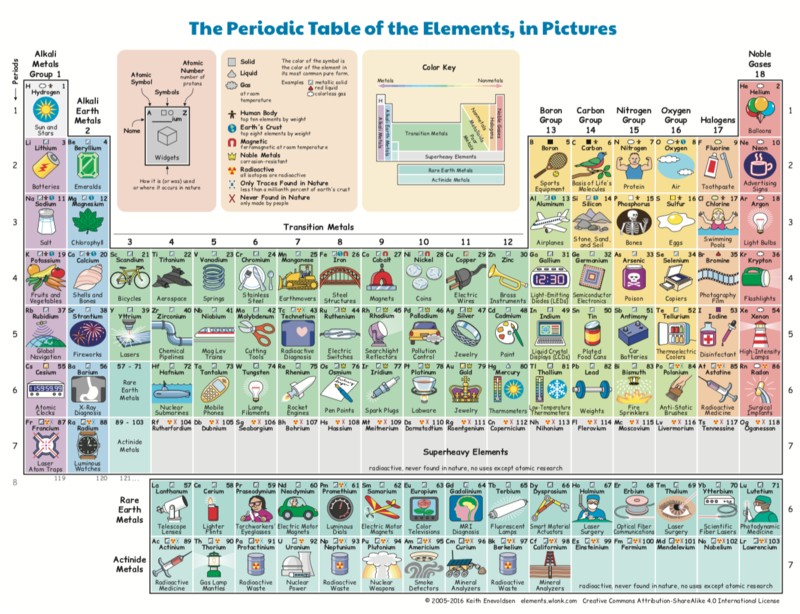 The good news is that lead levels are low, as are cadmium and nickel. There are elevated arsenic levels, but we have a good bit of native arsenic in our soil environment already. Thank you to the neighbors who so graciously housed the monitoring equipment, the student scientists at PSU, Dr. Linda George, and Neighbors for Clean Air for making this happen. To anyone who has lived in or visited the Cully neighborhood, the strange odors are still here: sulfur compounds and diesel PM and other fuel odors. Next Wednesday, June 27, from 6-7 pm., we will be meeting to discuss how we want to work with DEQ regarding re-permiting the pollution releases from Owens-Brockway. Drop me a line if you want the meeting location. Step-by-step, the air quality is improving, but we have a ways to go. In the meantime, please look over the attached file. Have you noticed a smell of burnt matches in the air recently, in the morning when you are getting up and watering the tomatoes or getting ready for a morning jog? Chances are you are smelling the potent industrial pollutant sulfur dioxide, SO2. The pollutant comes from the combustion of tar sands fuel, coal, and petrochemicals. Throughout the Cully air-shed this past summer the smell of SO2 was prevalent and noticeable as a recurrent nuisance. Numerous complaints to the Oregon DEQ have been met with responses ranging from “We don’t know where the SO2 is coming from” to blaming it on asphalt laying and road maintenance taking place in distant down-wind locations. Through inquires to DEQ in the past and careful research of existing permits the Cully Air Action Team does know that Owen-Illinois Brockway (O-I) and Porter Yett both produce SO2 as part of their industrial processes. Control technology does exist to capture and neutralize SO2 yet O-I has been fined by the EPA in the past for lying about installing and using that technology. Porter Yett does have a control unit to capture SO2 although it is unclear if it is operating at all times. The state leaves it to the industry to report any toxic air releases or breakdowns in capture equipment. Aside from the states inability to determine the source of the pollutant there are other problems with SO2 too. 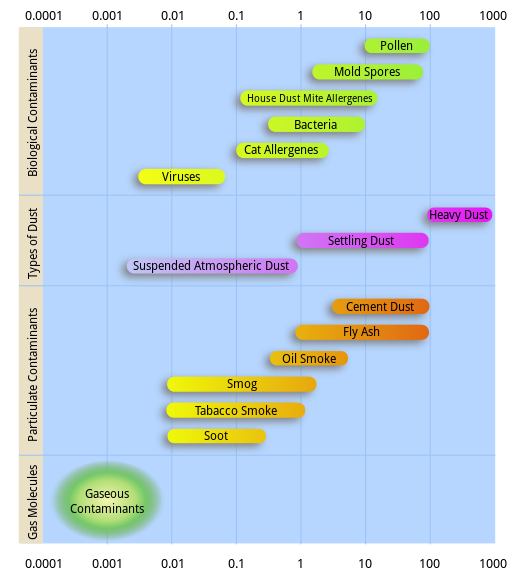 Here is a CDC/ATSDR fact sheet about the health effects of SO2 on humans. SO2 is primarily associated with acid rain as an environmental pollutant. There are indications that SO2 is also an indirect greenhouse gas, creating sulphate aerosols that contribute to localized climate change. 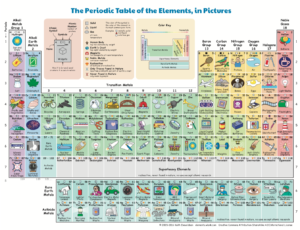 The acrid smell comes from the sulfur element and as the aerosol SO2 disperses it becomes acidic and can damage invertebrates and aquatic life. SO2 is a known danger. The mystery of where it is coming from needs to be addressed. I’ll explore the impact of NOX as a pollutant in another article, but if you are smelling burnt matches, that is probably SO2, from a local polluter. It is always important to file a complaint with the DEQ. Right now though, it may be best to close your windows and stay inside awhile to avoid breathing the irritating pollutants. Exercise and garden time may have to wait until the SO2 aerosol cloud dissipates. 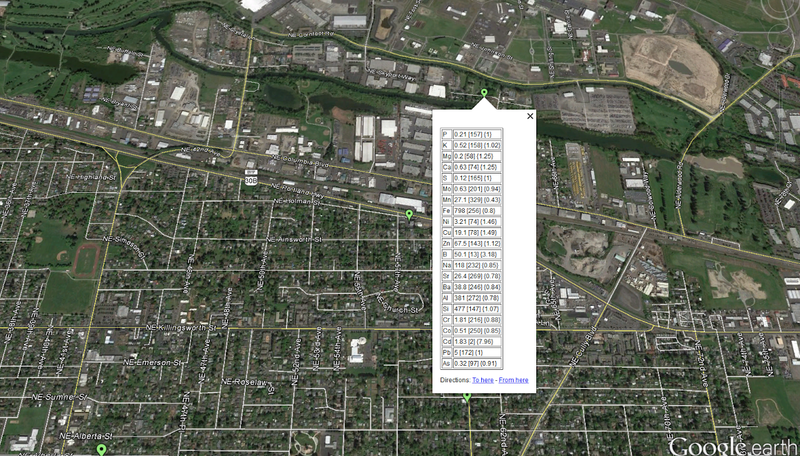 These heavy metal concentrations are from the corner of NE 57th and Portland Highway. 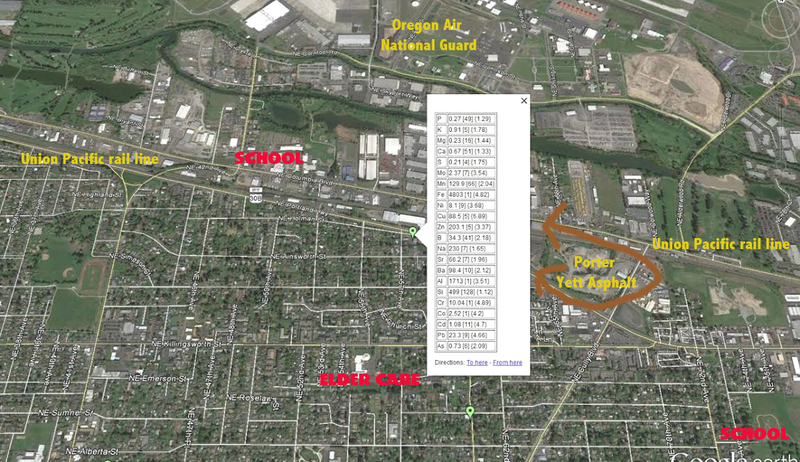 These heavy metal concentrations are from NE Cornfoot Road adjacent to Oregon National Air Guard. The USFS maps are located here. What these photographs and maps show are elevated concentrations of heavy metals in our Cully neighborhood. These concentrations may come for a variety of sources including industrial polluters such as Porter Yett, Owens Brockway (just east of map edge), and others. 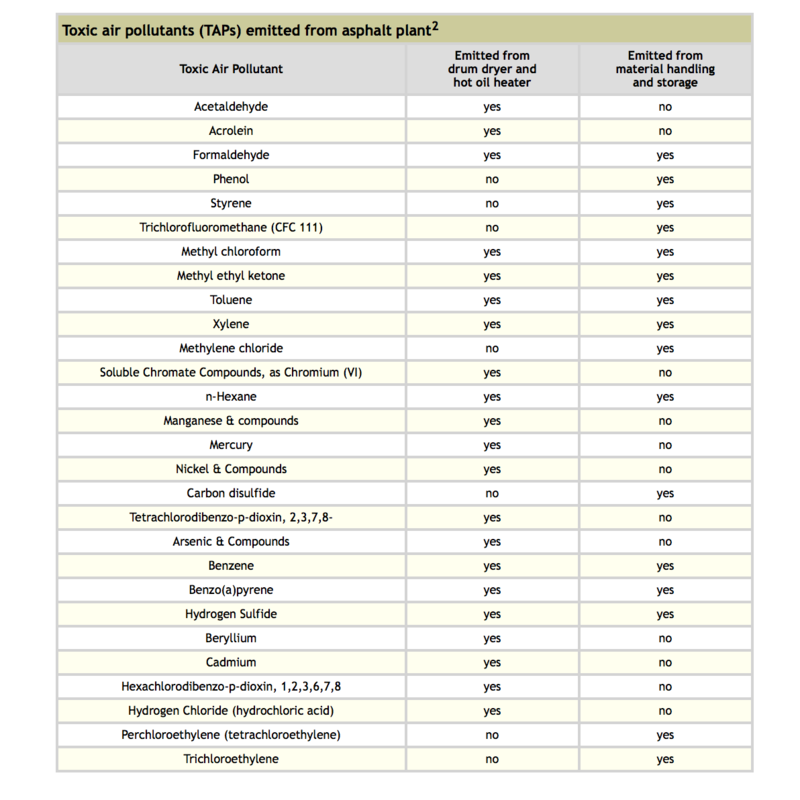 These monitoring results do not include VOCs, which are a major pollutant from Porter Yett and other industries. The Cully Air Action Team is working to get VOC monitoring up for Summer 2016. Thanks to our friends at Living Cully/Verde for help with this page.